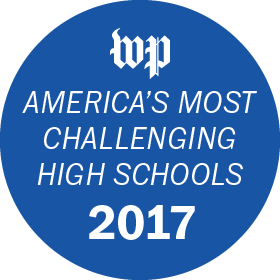 Huntley High School has been named to the Washington Post “Most Challenging Schools” list for the third year in a row. The list primarily reflects the Post’s own Challenge Index score, which measures the number of college-level tests given at a school in the previous calendar year divided by the number of graduates that year. Huntley is among six McHenry County schools that made the list. Just 65 schools in Illinois made the national list, and only about 12 percent of schools nationwide make the cut.